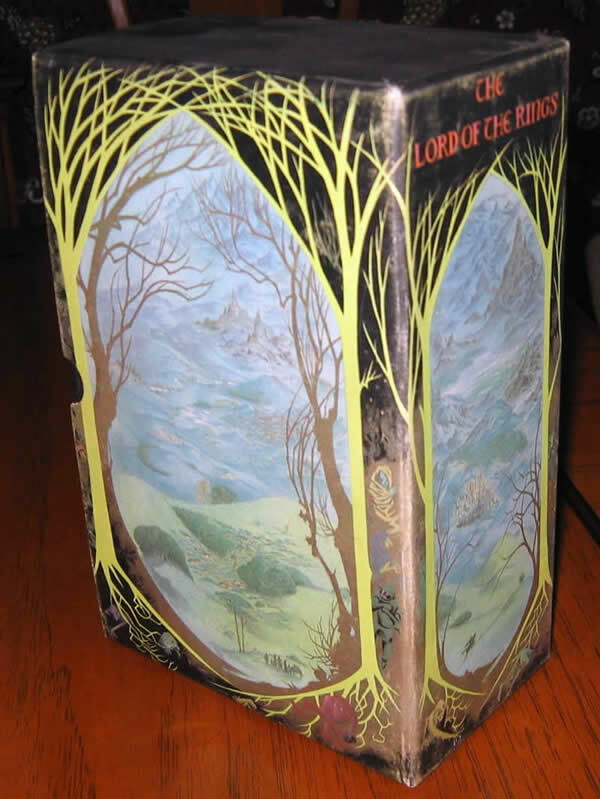 The true 1st Deluxe Edition of the Lord of the Rings, housed in the very scarce original publishers slipcase featuring the Pauline Baynes color "triptych" artwork. This set is bound in the original Black Buckram cloth with gilt titles, author and publisher to the spines of each volume. Each volume features Bevel-Edged boards, gilded page edges, and original silk bookmark sewn in. The books are in Very Good Plus condition, with a some marks and rubbing to the gilded edges, embossed previous owners stamp on ffep's of each book, but no writing or inscriptions in any of the books. 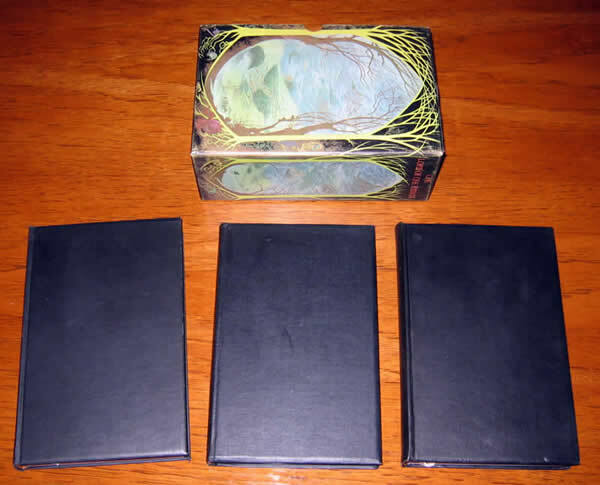 The books are housed in the very scarce original publishers slipcase featuring the Pauline Baynes color "triptych" artwork. 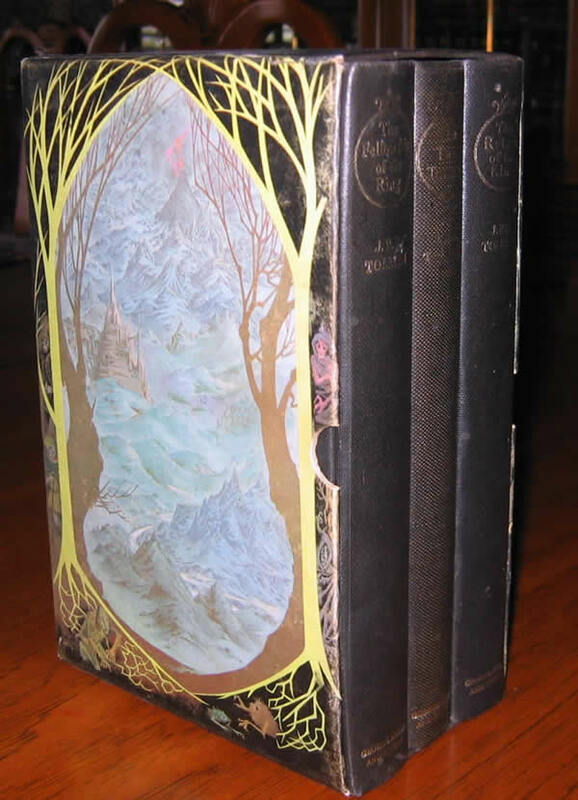 The scarcest of all the original Allen & Unwin 1st Editions, as well as the Houghton Mifflin issues. Rumor has it, only 300 sets produced (worldwide). 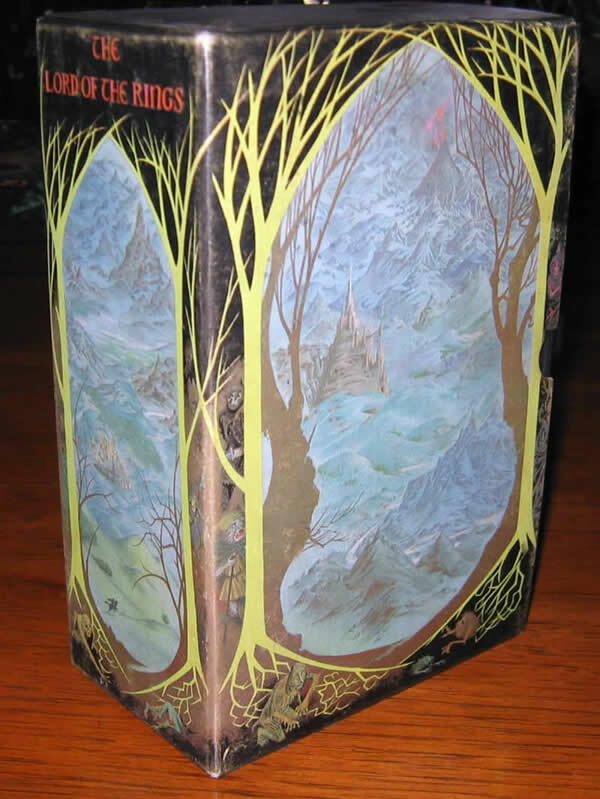 Briefly mentioned in the Tolkien Bibliography by Hammond and Anderson on page 98. 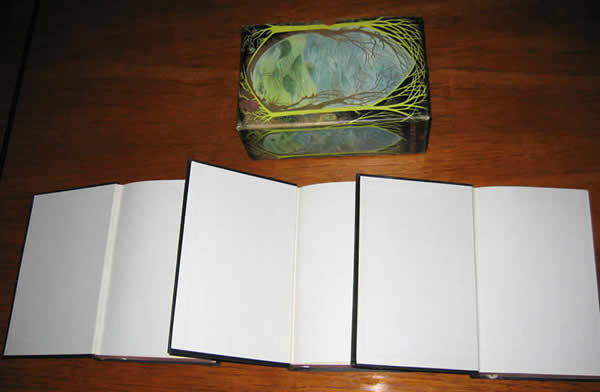 The outside of the slipcase show some superficial rubbing, but whole & complete, without any major stains or faults. 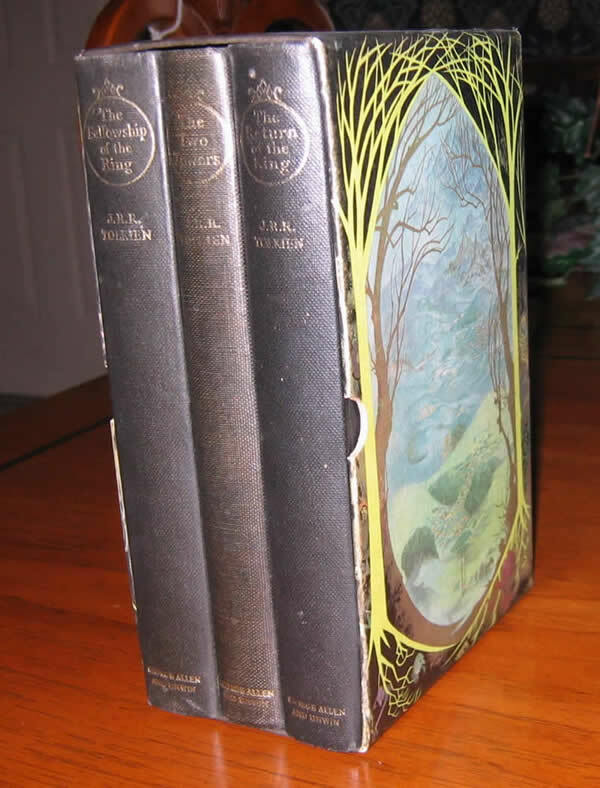 Perhaps the only opportunity you may ever come across for this rare set and slipcase. 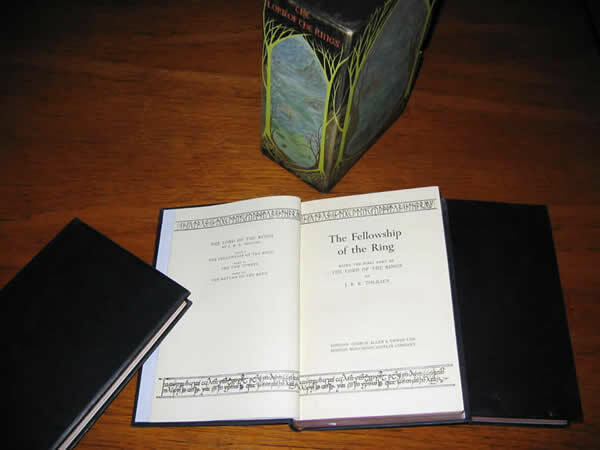 A wonderful addition to anyone's Tolkien collection, especially with this year being the 50th Anniversay of the original publication of the Fellowship of the Ring.